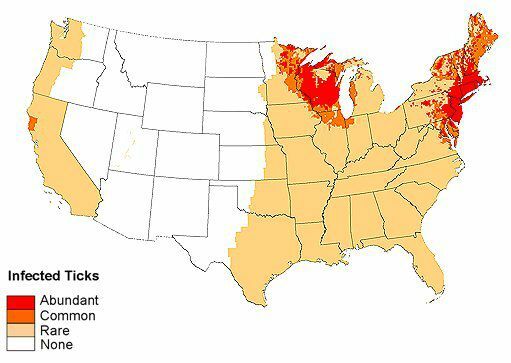 The Center for Disease Control (CDC) and the American Lyme Disease Foundation have excellent geospatial maps that show which areas of the country are at high risk for Lyme Disease. While Lyme Disease was first discovered in Lyme, Connecticut in the 1970's, it has since spread very widely throughout the United States. 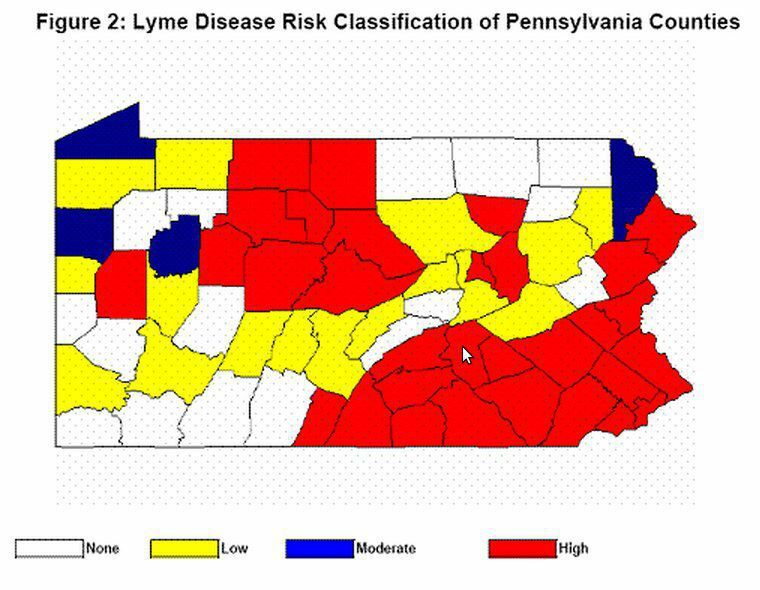 Above shows the different levels of Lyme Disease risk by county. All of Southeastern PA is at high risk for Lyme Disease, including Delware County, Chester County, Montgomery County, and Philadelphia County. For more information on Lyme Disease, visit here. To see other places that are at risk for Lyme Disease, check out the American Lyme Disease Foundation's interactive website here.